Not wanting to be left behind by the likes of AT&T and Verizon, another major telecom company is making plans to support 5G connectivity. Sprint announced today that it's made a joint agreement with Qualcomm and SoftBank to build new technologies for a 2.5GHz 5G service. The carrier plans to have commercially available 5G services and devices ready for the public sometime "in late 2019," but had little else to add, saying that additional details will be provided later by either itself and its partner companies. 5G may be on its way, but it won't be an overnight process. AT&T has not yet given a definitive time frame when to expect a 5G rollout, and Verizon is still prepping a pilot program in a limited number of cities for later this year. 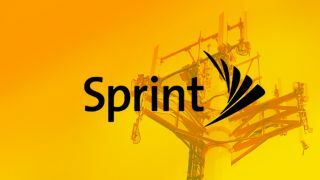 Sprint's jump into 5G technologies also follows just over a week after T-Mobile's announcement to roll out 5G services of its own, which expects to have something commercially available starting in late 2019 and into 2020. T-Mobile CEO John Legere made claims that his company was the first among competitors to announce plans for "truly nationwide" 5G, saying that AT&T and Verizon's current plans-in-development rely too much on limited hotspots instead of wide-spread coverage. As for Sprint, it's unclear if its plans for "accelerated wide-scale 5G deployments" more closely match T-Mobile or AT&T/Verizon's strategy, but one thing is clear: the race to the next cellular standard is on — even if we won't see major results for at least another two years.